Every year I seem to plant way too many courgettes. I don’t know why I do it, I think I just forget how much each plant produces and I like to have different varieties. So, I always have to try to think of new ways to use my courgettes. 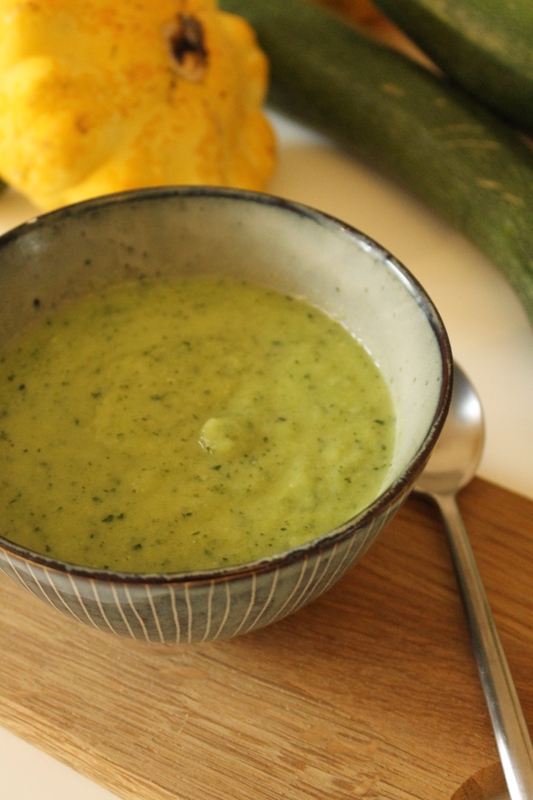 This year, one of my favourite recipes has been this ‘Creamy Courgette & Coconut soup’. As well as being super easy to make both kids love it which in my eyes is always a winner. 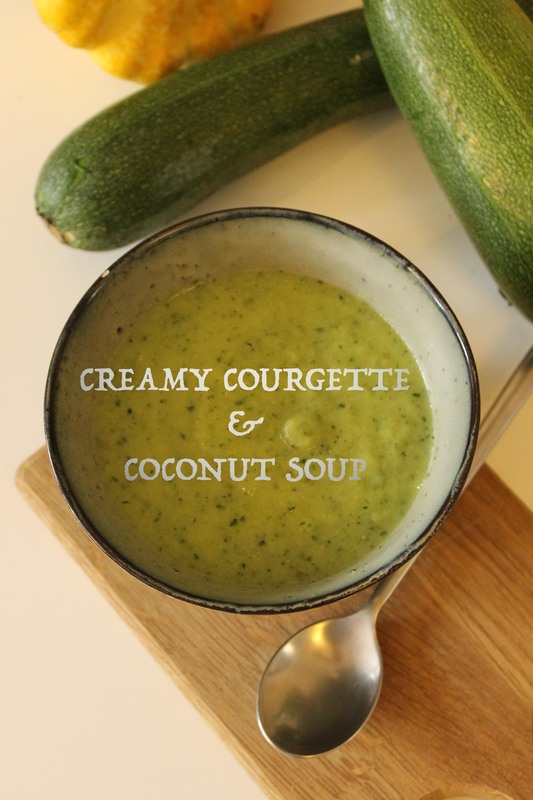 I let the courgettes cook in their on juices which gives the soup an intense flavour and the addition of coconut cream gives it a velvety texture as well as a thai flavour. 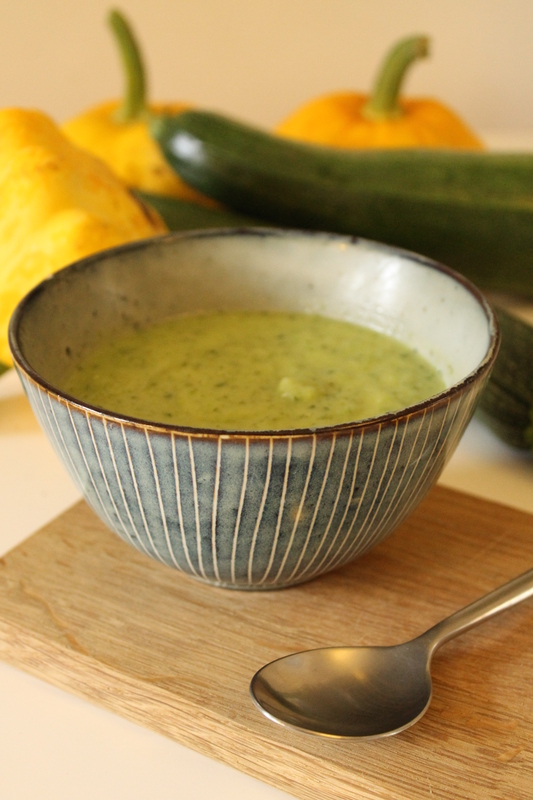 I first create a lovely creamy courgette purée that can be used for baby weaning and then add a little coconut cream and water to give the soup the right consistency. I found shop bought courgettes needed a little more water than my home grown ones so you might to add a little more water. You can easily make more and keep a few portions in the freezer too. I like this soup so much I think I shall be making this soup all year round, not just as a way to use up my summer glut. I hope you & your kids enjoy it as much as we do. In a medium pan cook the courgettes in the coconut oil. Put a lid on and leave to cook on a low to medium heat until they have softened. You can add a touch of water if needed. Use a hand blender to create a smooth purée. Take out a baby portion if needed before adding the coconut cream and water. Stir on a low heat for a minute and season to taste. How easy was that? It’s ready to enjoy!